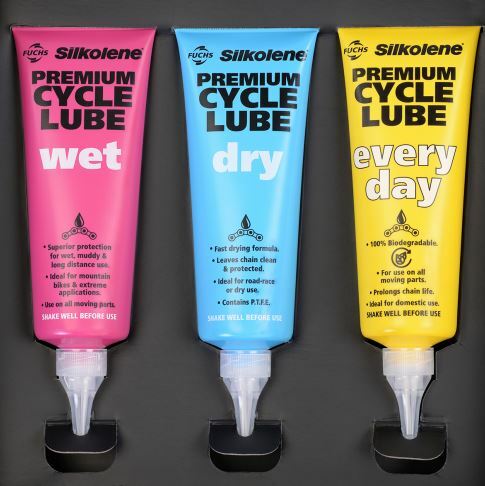 As revealed in CI.N’s latest Trade Journal, UK maker of lubricants FUCHS Silkolene will now be found with Ison Distribution. “Ison are pleased to be working in partnership with FUCHS Silkolene. They have a long and successful history in the motorcycle market and we relish the opportunity to help them succeed in the cycle market,” said Lloyd Townsend, the MD of Ison Distribution Ltd.
Made in Stoke on Trent, the range of cycle lubricants include dry, wet and ‘everyday’ solutions, each coming about as a result of extensive dealer and customer experience development, based on real life testing over a period of over several years. The Lubes come in easy to identify 100ml coloured tubes and with a handy ‘twist and go’ nozzle. 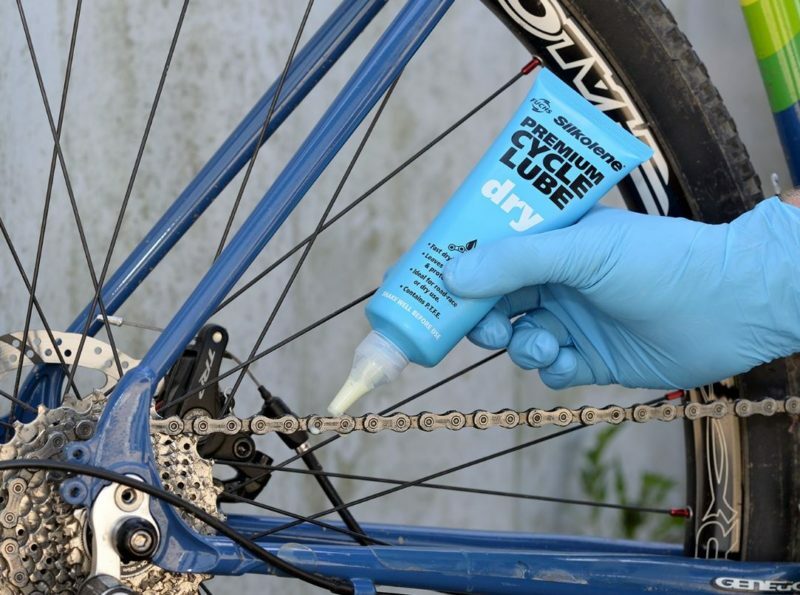 “We believe that the expert team at Ison are best placed to introduce our exclusive range of Premium Cycle Lubricants to the UK Cycle market. 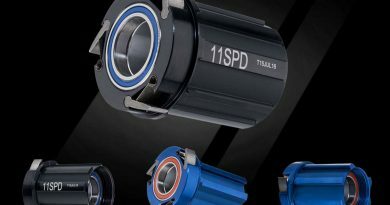 We look forwards to working in partnership with the Ison team to successfully introduce our new range into the UK cycle market, with a focus to support the independent cycle dealers with a brand that their customers can trust,” added Joost van Genderen of FUCHS Lubricants (UK) PLC. 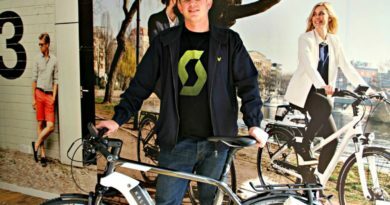 The deal quickly follows the announcement that Ison will also act as the distributor for CushCore. Ison accounts are able to take stock immediately and can make an enquiry via James Lloyd at Ison here.